When Super Smash Bros. came out simultaneously for Nintendo 3DS and Wii U years ago, many expected the console version to be the big draw. But the handheld edition ended up being the surprise performer, selling 2.5 million physical copies and becoming a bit hit. But little did we realize just how amazing Super Smash Bros. Ultimate would perform on the Switch just a few years later. A new report from Media Create (as reported by GamesIndustry International) indicates that Nintendo is already off to a fantastic start for 2019, with the Switch selling over seven million units in Japan and getting close to PlayStation 4’s lifetime sales. In just a couple of years. Wow. But let’s circle back around to Ultimate, which has sold another 250,000+ copies since the year’s start, leading to a total of 2.6 million copies sold physically. That number isn’t even including digital sales. And with that, the game has surpassed the lifetime sales of the 3DS version, easily becoming the most popular entry in the series to date. It’s not hard to see why. 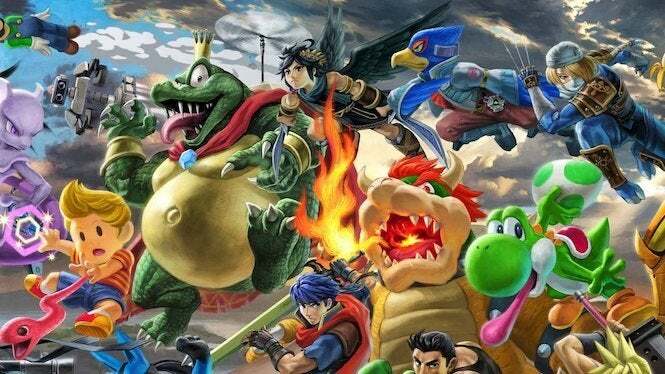 Director Masahiro Sakurai and his team have gone all out with this game, piling on stages, music and fighters, including favorites from other series, to create the biggest Smash yet. And it’s only going to get even better, as Joker from Persona 5 and the Piranha Plant from Super Mario Bros. will be joining the roster sooner rather than later. For that matter, the rest of the list is pretty much all Nintendo. In fact, eight of the games on the top ten for the week were Nintendo Switch releases, including Super Mario Party, Pokemon: Let’s Go PIkachu and Eevee, Mario Kart 8 Deluxe and Dragon Quest Builders 2, which sold more on Nintendo’s platform than PlayStation 4. Even Minecraft and Go Vacation did well rounding out the top ten. Nintendo shows no signs of slowing down when it comes to success in Japan. Now all eyes are on New Super Mario Bros. U Deluxe and how well it performs, since it released right before the weekend. Super Smash Bros. Ultimate is available now for Nintendo Switch in both physical and digital form through Nintendo’s eShop. What do you think of Super Smash Bros. Ultimate? Reach out to me on Twitter at @TheDCD!